Monroe Sheriff Rick Ramsay checks out Trigger at the horse's new home — the Monroe County Sheriff's Office Animal Farm. A horse that arrived in South Florida emaciated and covered in sores five months ago is now enjoying retirement in Key West. Trigger was confiscated from his owner in November in Miami. The owner reportedly rode him 700 miles from South Carolina with no money to feed the horse or himself, according to a press release from the Monroe County Sheriff's Office. 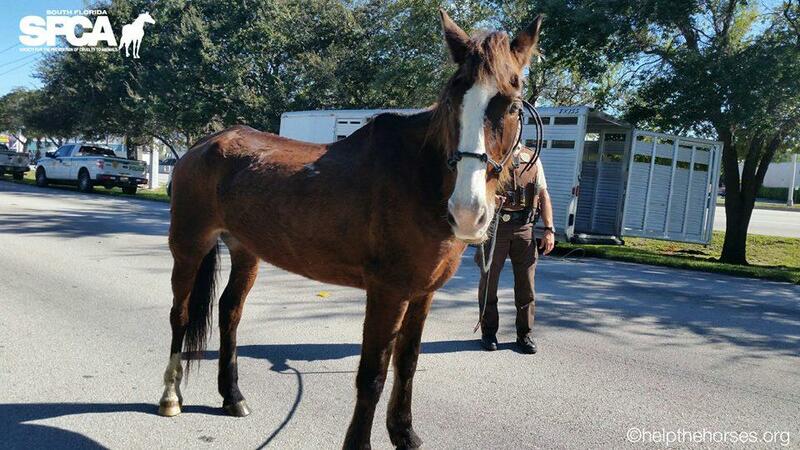 This week, the healthier, fatter horse was delivered to the Monroe County Sheriff's Animal Farm — which is located beneath the county jail in Key West. The animal farm takes in rescue animals of all types and is open to the public, free, twice a month. Trigger was emaciated, with saddle sores on his back and sores in his mouth, when he was confiscated in November. By the time he was confiscated, Trigger had saddle sores so extreme that he wouldn't let anyone near him and had sores in his mouth. The owner had been riding him with the bit backwards "to give him better control," according to the sheriff's office. "He is blind in one eye, so we have to make sure we talk to him to let him know where we are when we are close by," farmer Jeanne Selander said in the press release. "His wounds are all healed now. He has been eating well and all the loving care he has been given by the South Florida SPCA shows." The Jacksonville Zoo hopes its gorilla Kumbuka will soon become a first-time mom. But Kumbuka’s journey to motherhood has been complicated by the recent discovery that she’s deaf. 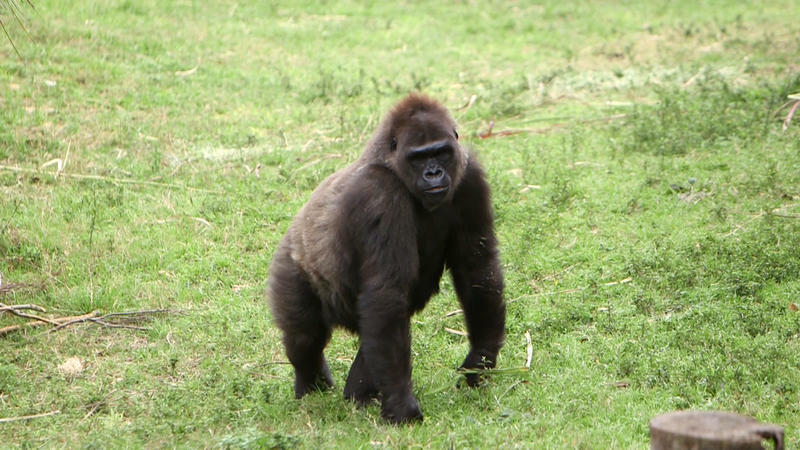 Jacksonville Zoo veterinarian Dr. Yousuf Jafarey said there is often tension between Kumbuka and the other gorillas because she doesn’t hear social cues. He said helping Kumbuka overcome socialization problems within her gorilla family is an important step to having a baby. A roast pig for dinner on Christmas Eve is a cherished tradition in many Cuban families. Part of that tradition is the family trip to the slaughterhouse to pick out the Nochebuena pig and carry it home. But modern sensitivities almost made the tradition a controversy on Tuesday, when a handful of animal rights demonstrators showed up at a Hialeah pig slaughterhouse with protest signs and literature. After 146 years, Ringling Bros. and Barnum and Bailey Circus is taking down its big top. This week on Florida Matters, we're exploring the history and the economic impact of the circus. Ringling's Bros. Circus was recently in Tampa for its last performances in the Sunshine State. Stray animals in Miami-Dade county will soon have a new home come fall of 2015. County Animal Services broke ground Friday on a new facility that would double the amount of space it has now. Every year, Animal Services cares for more than 27,000 homeless dogs and cats, but that volume has pushed the current facility to its capacity. Getting to this point, though, has been a bit of a battle.